GTT's Richmond Video Crew Has Been Good This Year…I Promise! 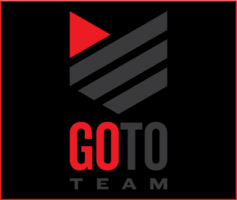 Go To Team Elite Camera Crew & Video Production Crew | GTT’s Richmond Video Crew Has Been Good This Year…I Promise! GTT’s Richmond Video Crew Has Been Good This Year…I Promise! 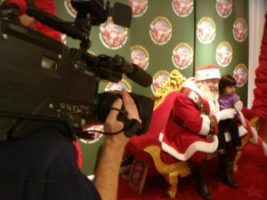 While shooting a piece for Macy’s in Richmond, Virginia, GTT cameraman Nick Modisett got to meet Ol’ Saint Nick himself. After the kiddos had left and the story was shot, Modisett sat down to write his wish list for Santa. Dear Santa: All I want for Christmas are the best HD cameras (like the Sony F-900, the Panasonic VariCam or the Panasonic HDX900), the coolest lights (both tungsten and daylight), the sweetest sound gear (like a Sound Devices 442 and all kinds of beautiful sounding microphones), a bunch of other awesome video production gadgets and gizmos (like incredible camera lenses, high definition monitors and lots of grip gear) and maybe a gigantic truck to put it all in. WAIT!!! Santa!!! Go To Team already has all these toys!!! I guess all I really want for Christmas are more cool shoots to use this phenomenal gear and my talent on. Go To Team already has a Santa Claus…his name is Skip Clark! And he doesn’t break into your house and eat your cookies.